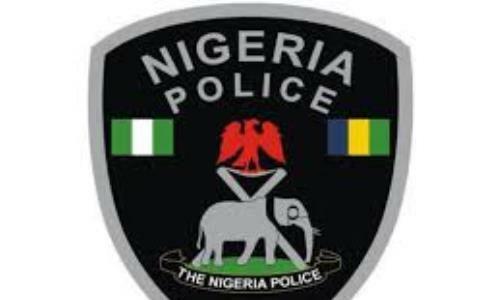 Two lifeless bodies were on Friday discovered in a forest at a police checkpoint between Enugu and Ebonyi states by stranded passengers held up by a clash between policemen and a lorry driver. A driver of a lorry fully loaded with yam was stopped at the checkpoint by policemen on duty and the driver allegedly gave them N500, which was reportedly rejected by the policemen. It was gathered the policemen had requested for N1, 000 which the driver said he could not pay. Trouble was said to have started when the driver resisted the policemen from deflating his tires and the driver was beaten to pulp which warranted other drivers to block the road for over two hours. It was in the process that some stranded passengers who went to defecate saw lifeless bodies in the bush. This infuriated road users who alleged it was the police that killed and dumped the corpses in the bush. A source, who craved anonymity, said: “What I saw was that a driver of lorry fully loaded with yam was stopped by the policemen at checkpoint and he gave them N500 and the policemen rejected the money. “The policemen approached the driver when he told them that since he had given them N500 which the policemen rejected, that none of them can deflate his tire. “Trouble started when the policemen attempted to deflate his tire. When he tried to stop them, they started beating him. “I left Enugu so early this morning as at 6am, but I was there till 8am this morning. “The dead bodies were found around the police checkpoints. The people around were suspecting it was the police that killed them. “They were surprised why the dead bodies should be found around the checkpoint. The Nation could not independently confirm the allegations against the Police as at press time. Police spokesman in the state, Lodah Loveth, said she was yet to be officially briefed on the matter.